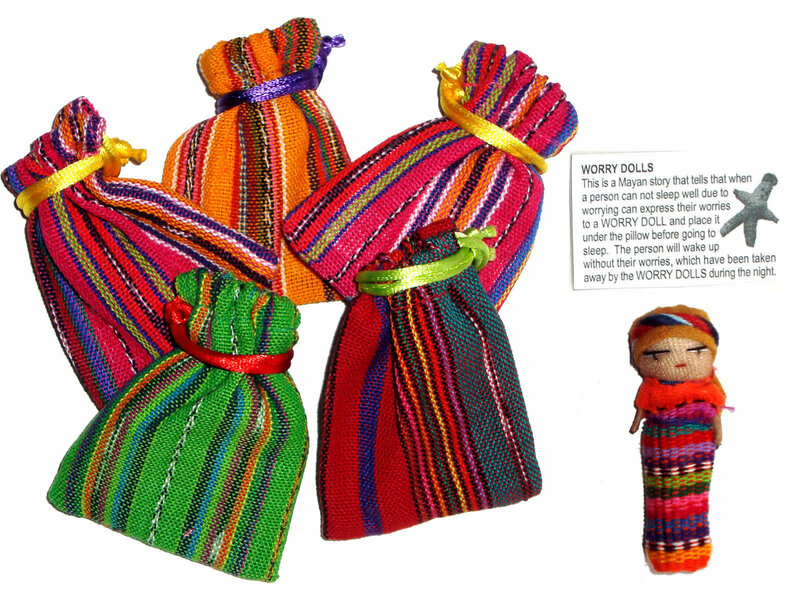 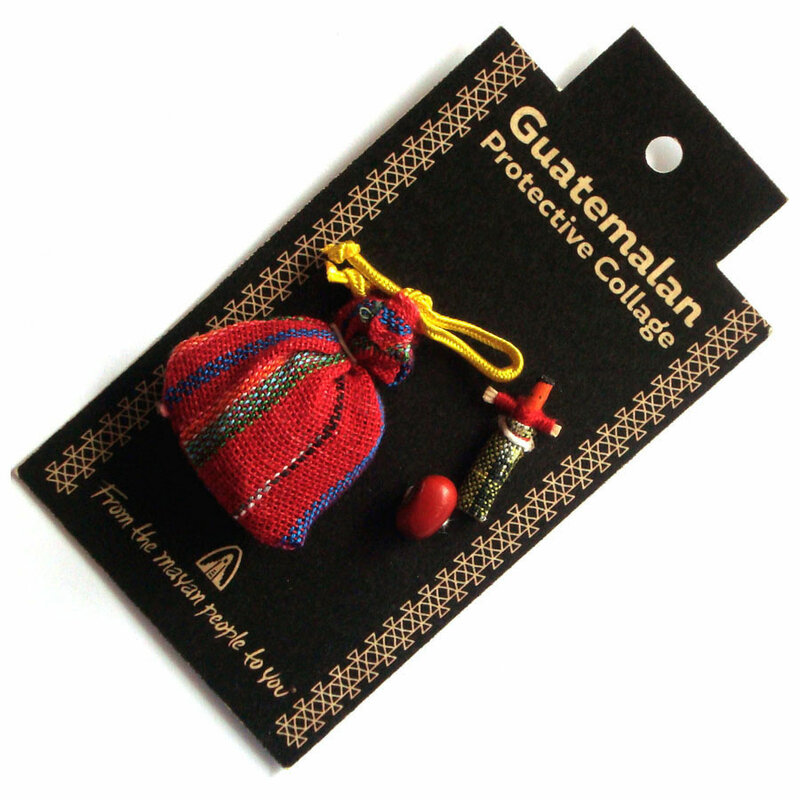 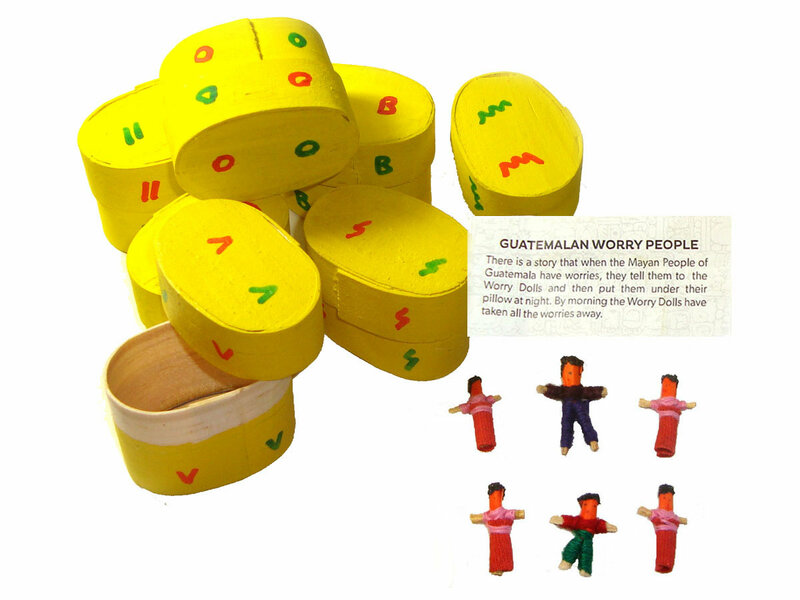 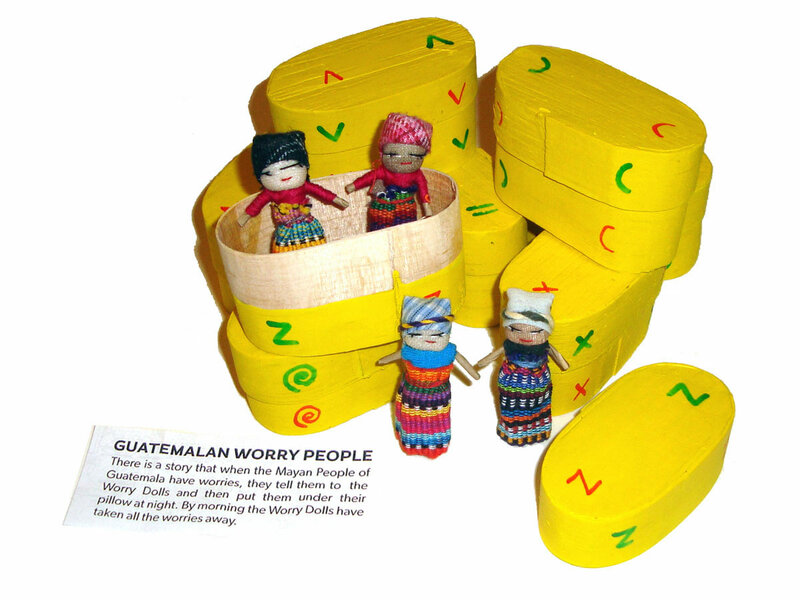 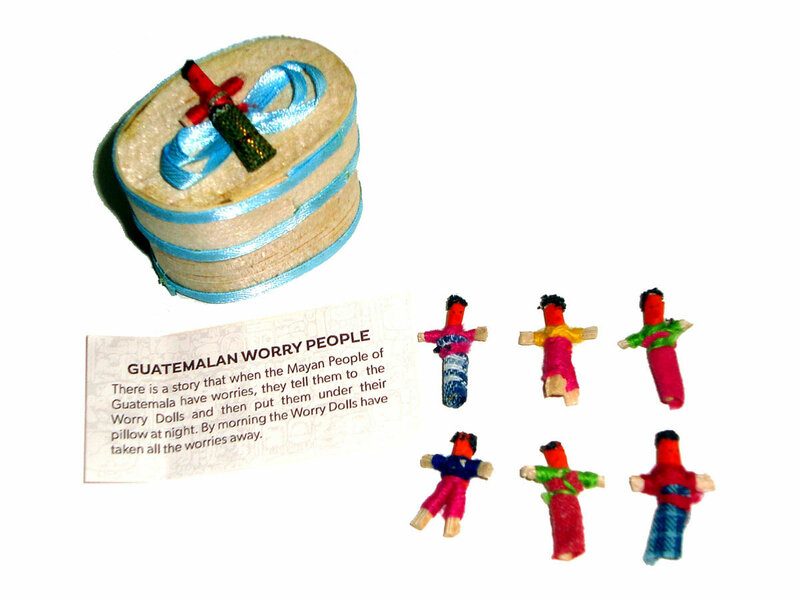 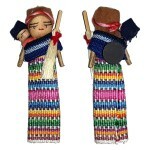 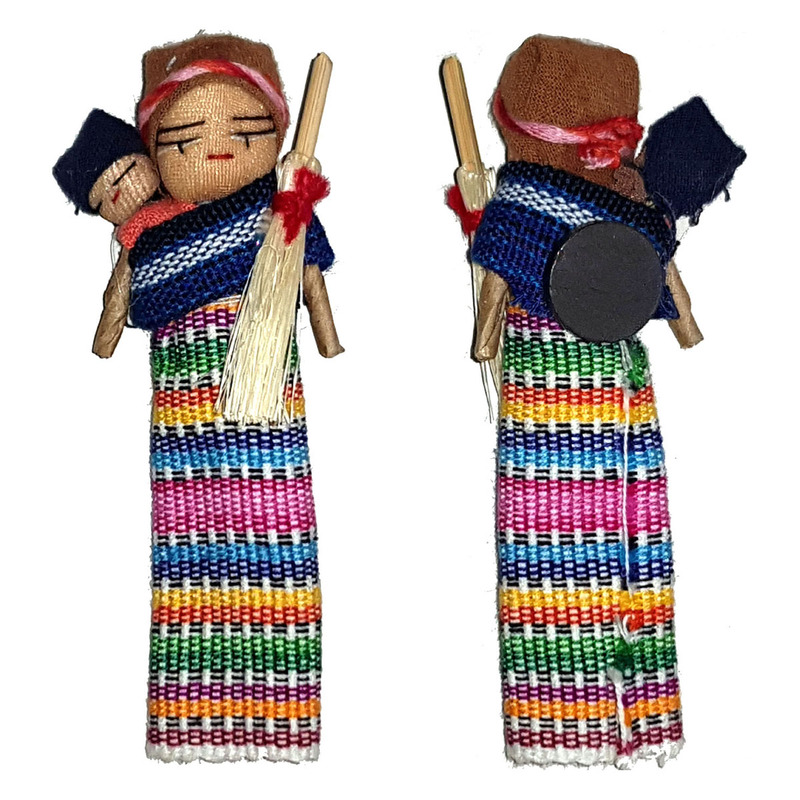 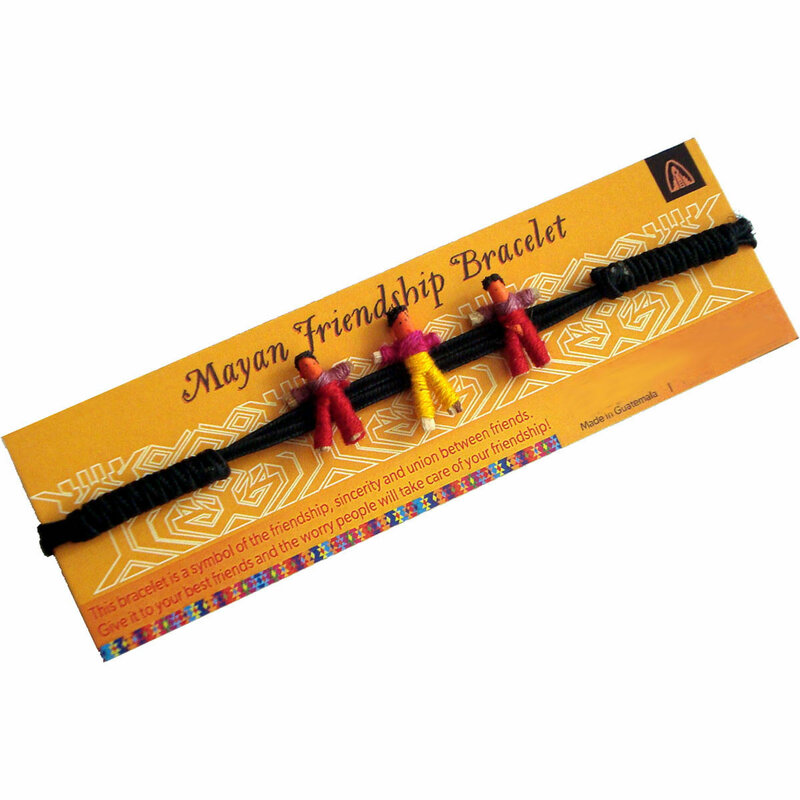 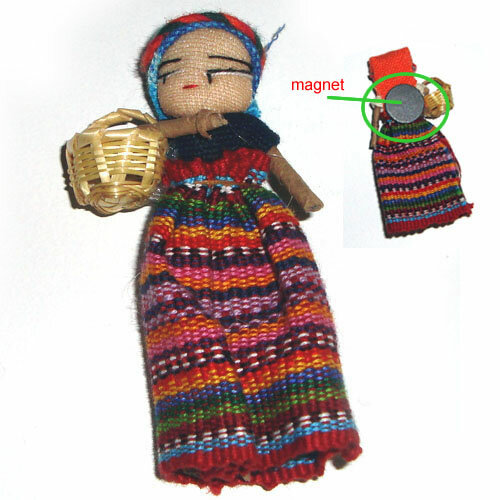 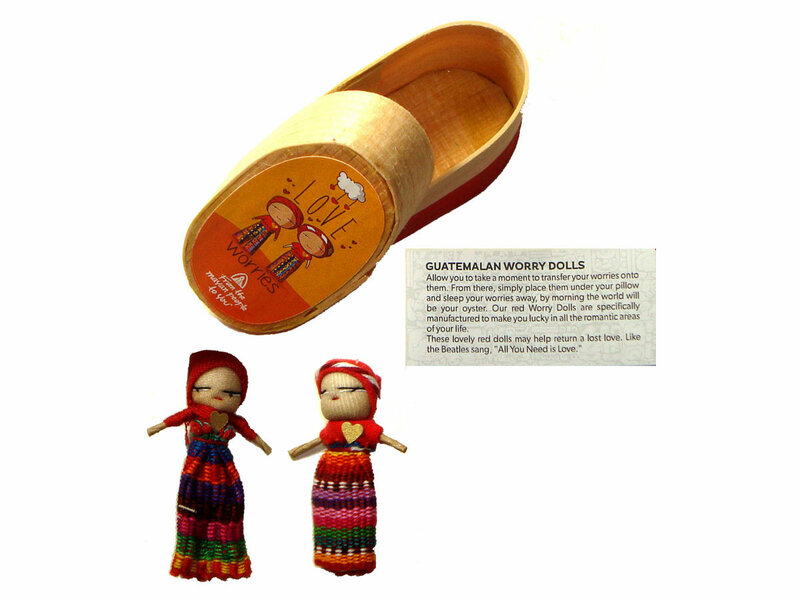 According to Mayan folklore, if a person cannot sleep due to worry, they can tell their worries to Worry Dolls (or Trouble Dolls) - one worry per doll, then place the Worry Dolls under their pillow before going to sleep. 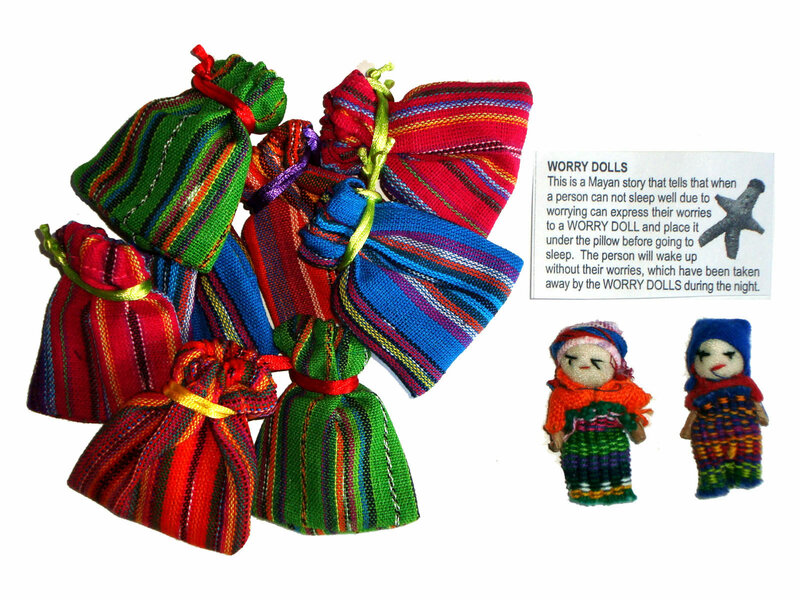 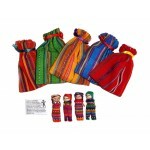 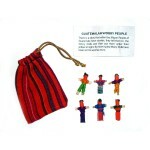 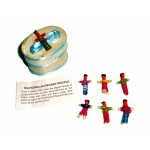 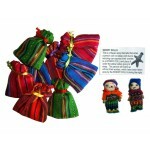 The Worry Dolls are said to take the person's worries away, thereby enabling the person to have a peaceful, untroubled sleep. 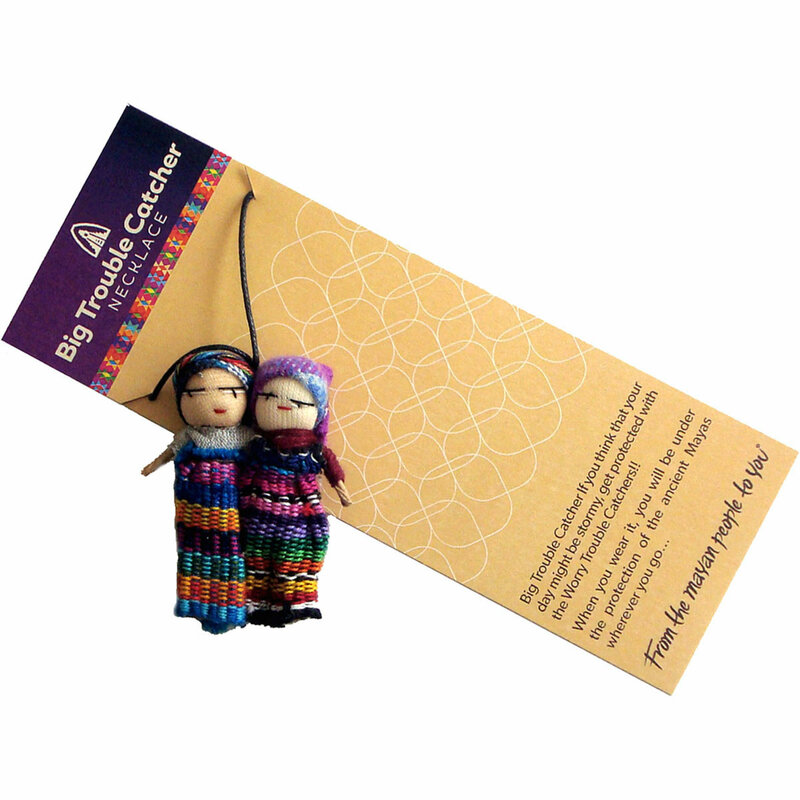 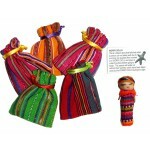 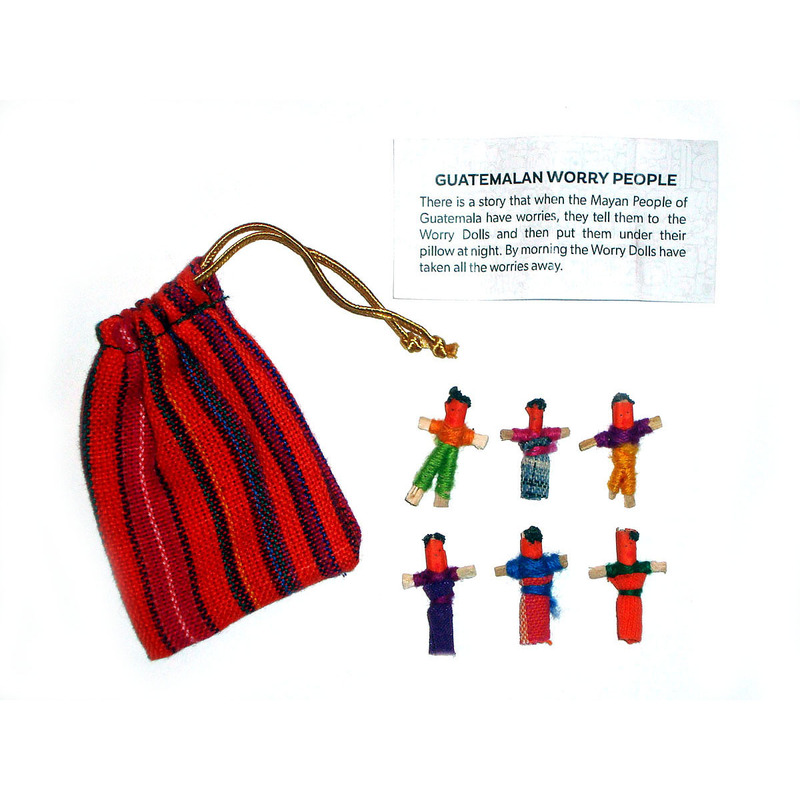 These worry dolls are handmade by artisans in co-operatives from various villages in Guatemala to raise funds for their villages. 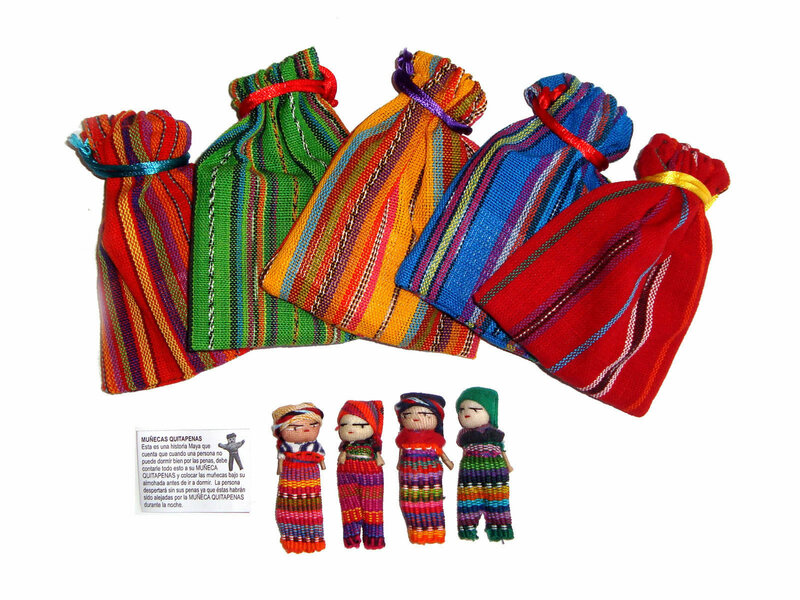 The money earned provides much needed funds for their communities. 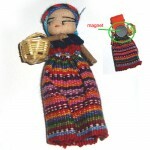 All artisans and workers involved are fairly compensated for their work. 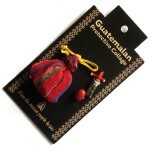 Fair Trade.